There are a number of colors to choose from when it comes to our commercial room dividers. Partitions are available in textured colors as well. Contact us if you have any questions. We will help you find the commercial accordion room dividers that are right for you! The industrial room dividers that we have for sale are available in a variety of options. We have Scotchgard protected fabric panels that will repel dirt. We also have marker board dividers that you can draw right on! Further still, we offer window dividers that you can see through, acoustic wall panels that help absorb noise, and even customizable panels you can print your logo right on. 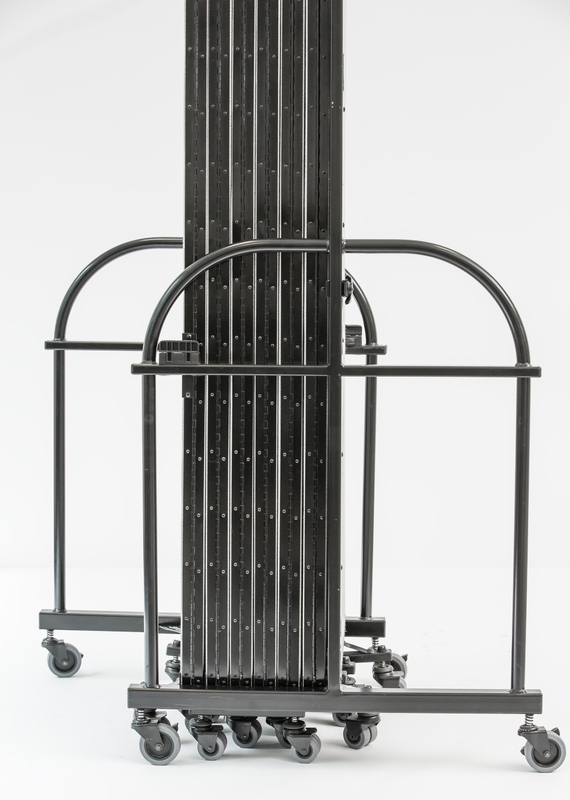 All of our room dividers are temporary and moveable, making them very easy to work with. At Screenflex, we are changing the game when it comes to room dividers. Commercial space planning has never been easier! 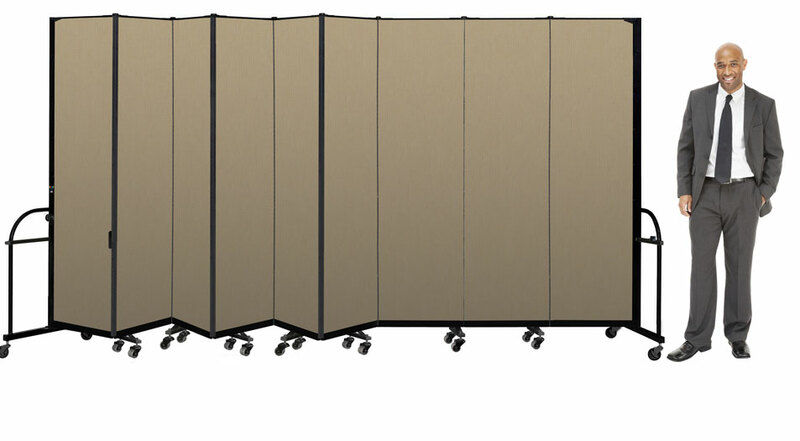 Move and position our animated room divider into a configuration that fits your application. Try it! It’s fun and easy to use! 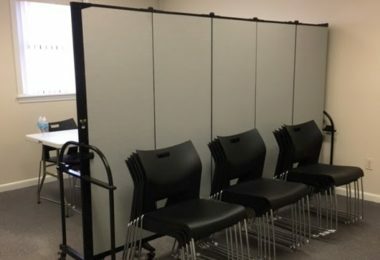 Designed for use in more rigorous environments, the Screenflex Heavy Duty Divider is perfect for theater departments, cafeterias, and industrial education areas looking to create private learning rooms in an open space. 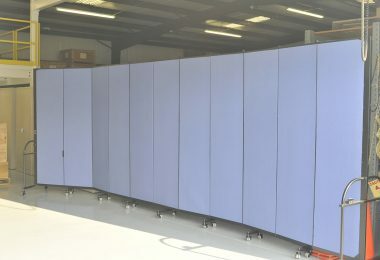 Screenflex heavy duty room dividers appear similar to our Standard Screenflex Room Divider product line. And for most industries, we usually recommend our Standard Room Divider. However, for industrial environments, our heavy duty divider is the best option. 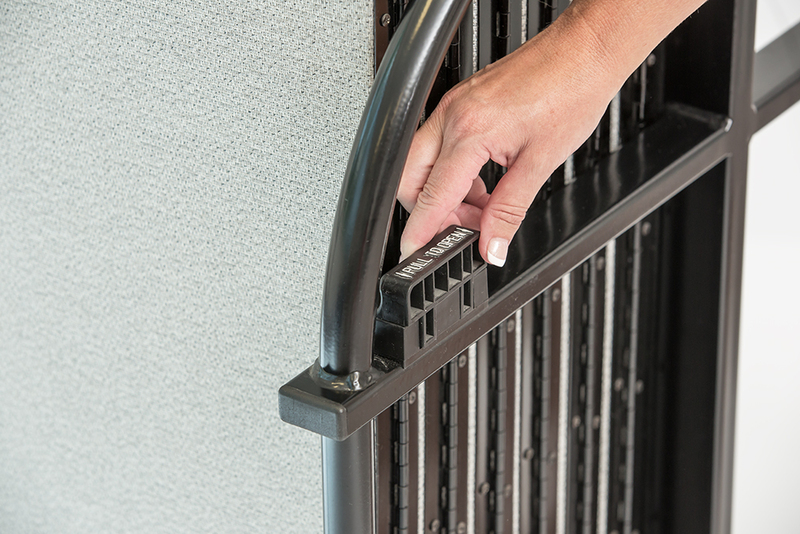 These dividers withstand the most challenging conditions found in most commercial facilities. 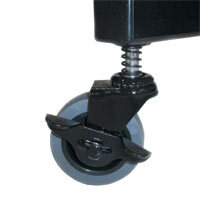 Screenflex Heavy Duty Dividers roll easily across uneven surfaces with ease. This includes parking lots, in and out of elevators, and over thresholds. We recommend using heavy duty room dividers in high-traffic areas like airports, convention centers, hotels or sporting venues. Are you looking for strong room dividers? Look no further! 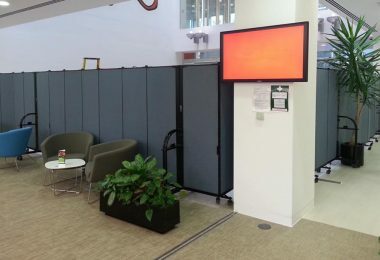 Screenflex offers top-quality commercial room dividers. Partitions such as these can be used in a number of applications. For example, our dividers can be used as industrial room dividers, warehouse dividers, and more! 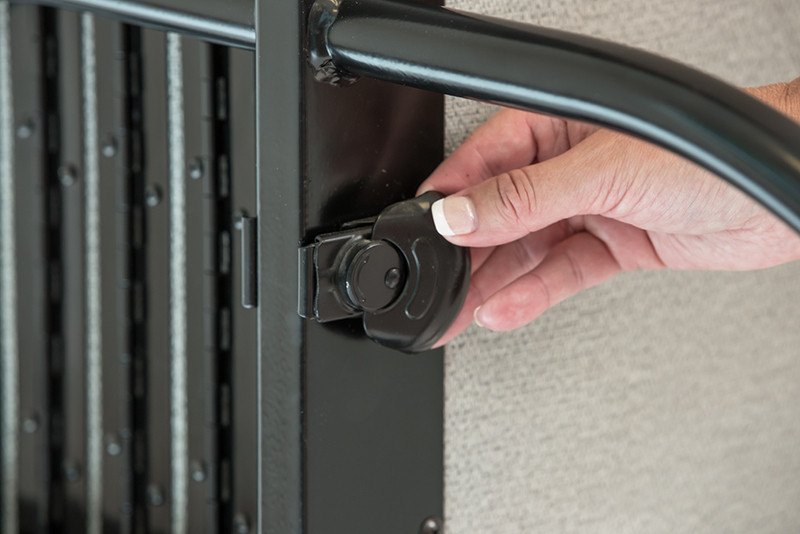 Learn more about our amazing movable walls. 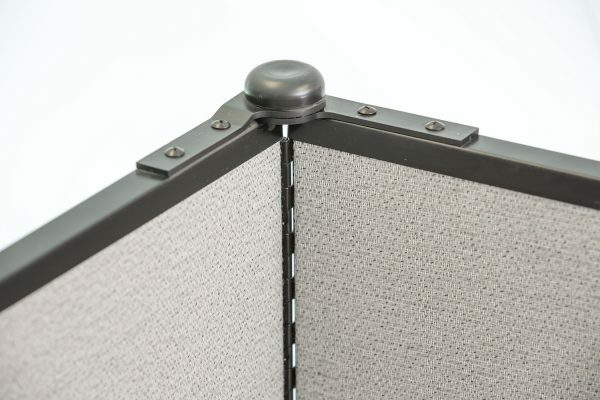 Commercial room dividers have never been more sturdy! 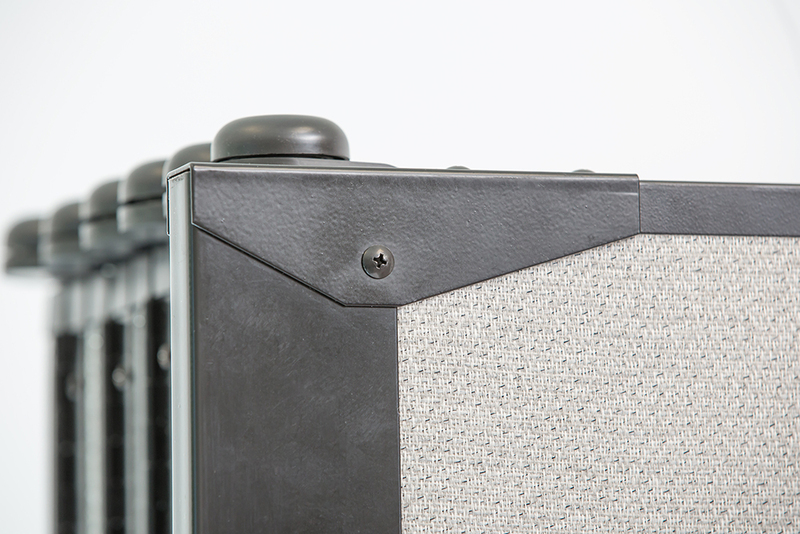 What makes our Heavy Duty Dividers so superior? 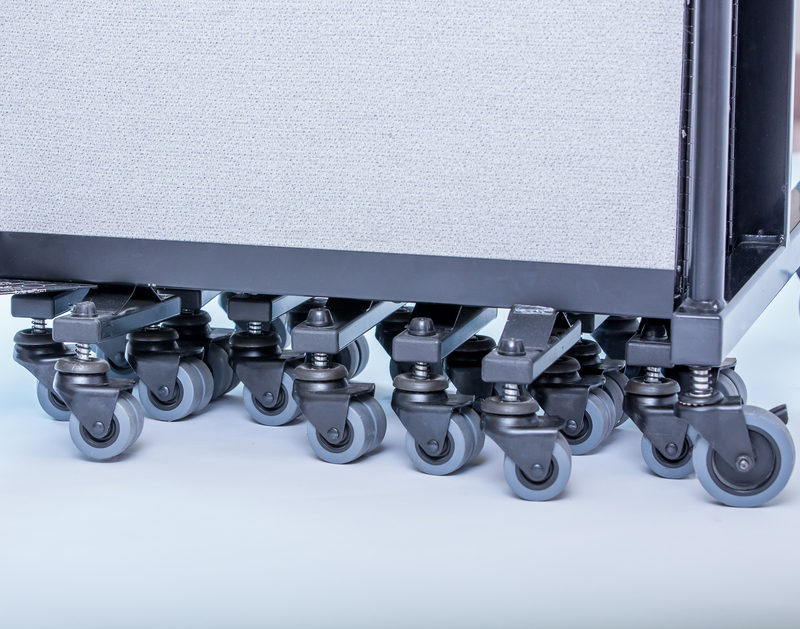 They built with extra-wide caster legs for superior panel support, extra-strong full-length panel hinges, steel reinforcing gusset plates, oversized dual-ball-bearing casters, standard multi-unit connectors, and added steel crossbar support framing on the end frame. All these features combined, produce the sturdiest industrial room dividers you can buy. More importantly, because this class of commercial accordion room dividers can handle unusually challenging conditions, we proudly designate it as the toughest room divider. Shop Screenflex.com for your commercial room dividers partitions and place your order today!